Furia Sabinia Tranquillina was the daughter of the Praetorian Prefect Timisitheus. 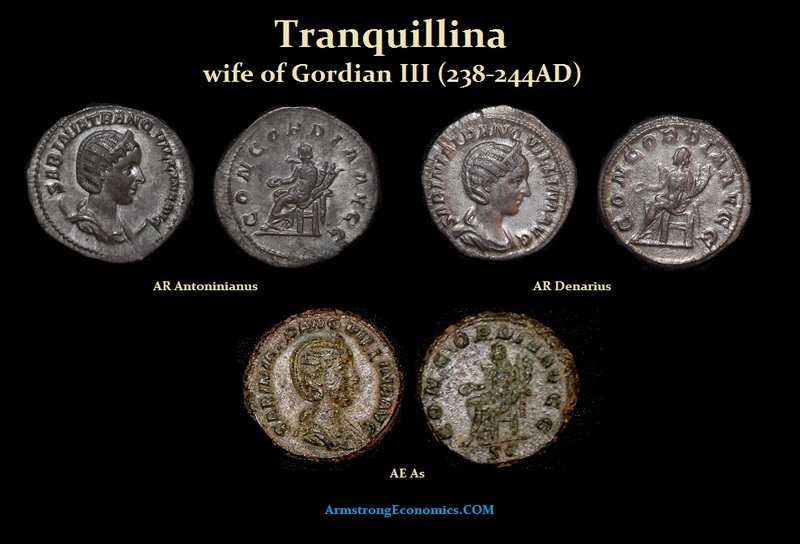 Tranquillina was married to Gordian III in 241 AD. The marriage may have been political insofar as Gordian III needed the support and aid of his father-in-law. Tranquillina reigned as Empress of Rome between 241 and 244 AD. Following the death of both her father and her husband in 244, her fate remains unknown.